I’d be impressed if any of you guys (and gals) recognized this guy. A new story (completely unrelated to the picture… sort of) Just to keep you on your toes, here is a new Blogging Original Short Story. Kriso stood triumphant looking down at the gathering. The sun glistened off his olive colored skin, tracing every sculpted muscle. The people below dressed in peasant rags. Kriso dressed in nothing. The peasant rabble exchanged uneasy glances, muttering amongst themselves. The threat of the beast had been so sneaky, so subverted, they did not know the danger their lives face. “You’re naked.” A little girl said in the front of the crowd. Well it had not been entirely true. Kriso had been no deviant. He wore a manly fur brief to contain his manly parts for sake of decency. But the rest? He curled and flexed, setting his array of musculature to bulge. Some of the women in the crowd whistled, some of the men whistled too. Many of the crowd shook their head and left the gathering. A man dragged away the little girl by the arm. No matter. Kriso is not here for gratitude. He turned and stepped down from the stone monument at the town center and curled his handlebar mustache with a thumb and forefinger. But this monster is wily. He strolled through the main square of the sleepy hamlet, drawing stares as he tended to. He settled in front of the inn. A poster proclaimed: WEREWOLF ON THE LOOSE. STAY INDOORS AT NIGHT. Kriso crumpled the notice, tossing it aside, and let out a shout. He startled several villagers, and set a baby to crying. He strutted to the center monument, a lump of stone proclaiming the city as Flutterbaum: a place of peace and happiness. He crouched, leapt and landed on the great stone. That drew a few wayward glances, but Kriso focused on his duty instead. He flopped into a cross-legged sit. “If Kriso were wolfwere? Where would kriso be?” Kriso tugged at his moustache and fell into a trance of consideration. His ruminations continued to dusk and the villagers closed their market stands. They filed to their homes like obedient little soldier ants. Nightfall covered Flutterbaum and jubilations came from the inn, men and women laughed and sung behind the closed doors, empowering Kriso with a frenzy of justice. This is what Kriso fights for, to protect the little people of the world. He heard a scream. He stood and leapt from the city stone, landing clean on all fours and broke into a hurried sprint. Speed came to him easy and his powerful legs closed the gap in seconds. He came to the door and through. The flimsy door could not hold back Kriso. At night he felt mighty and today, filled with inspiration it had been no exception. Kriso let out a roar, a threat to the werewolf that dared threaten this hamlet. The people inside froze and gaped at Kriso, their mouths hung open. A man rubbed his head in a daze, likely the one who let out the cry for help. Kriso pushed towards him towering over him and inspecting the area. The remnants of a chair lay around him. Kriso spun towards the fleeing people. Where? He charged back to the door. This monster had been wily and fast. The crowds screamed as he pushed through them and people fled in all directions. The cries filled the night air as if the creature had been everywhere and nowhere at the same time. Kriso’s pursuit only worsened the cries, and the monster had been nowhere to be seen. Is it invisible? Her roared and snapped in frustration, pushing aside villagers, and urged them to go into their homes. His frustration and rage clouded his words, reducing them to grunts and growls. This monster will not best Kriso this day. But it did. No matter how many doors Kriso tore down, he saw not hide no hair of the beast. Yet cries of Werewolf filled the night. Shamed, Kriso fled into to the nearby wood and the commotion died down. He steadied himself against a tree, fighting back exhaustion with practiced ease. He couldn’t shake the sting of failure though. He perked up, sensing something amiss in the air. Sets of red eyes flashed in the night one pair became twenty and furry bodies, gnashing teeth, and swishing tails drew closer. Wolves. Kriso had no fear of them. No matter how large, they would fall before his fists. The first pounced and he understood its growl. Pretender. Kriso punched it away, tumbling it into one of its pack mates. The other growled, he understood those two. Two legs. Fake. Werebeast. Kriso charged on all fours. It felt better somehow. Thank you for the suggestion. He swung at the closest wolf. It dodged and bit into his arm. Its feeble chomp did not break his skin. His musculature had been superior, now, more-so. The light of the moon only made him stronger. He bit the wolf back, sending a spray of blood on the ground. That gave the other wolves pause. They saw men as prey, but when Kriso fought like a wolf that shook their foundations. 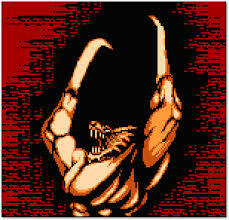 He shook and released, tossing the bloodied opponent away. Kriso stood on two legs and glared at the other wolves. He needed no words to warn them. Kriso is King. He drummed a hand against his burly breast. They backed away, slow and deliberate. He spat blood and considered. The wounded wolf struggled in final throes of death. Perhaps these wolves had been the threat they spoke of. He would meditate on it in case the wolves returned. They never did.